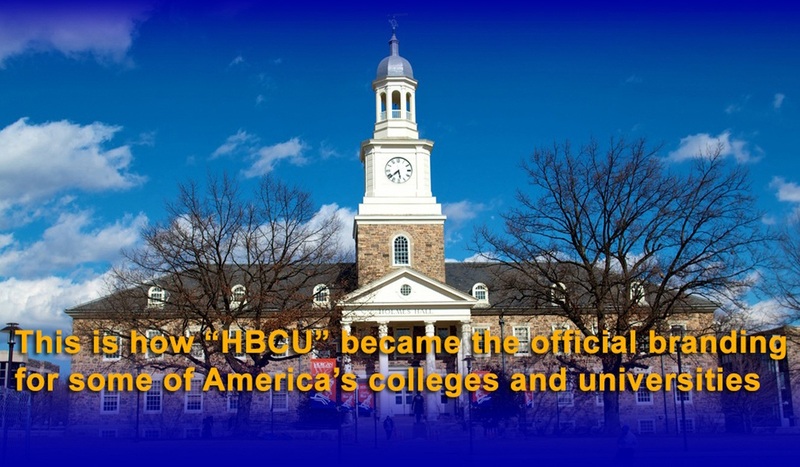 Have you ever wondered when the term Historically Black Colleges and Universities (HBCUs) became the “branding” for some institutions of higher education in the United States? 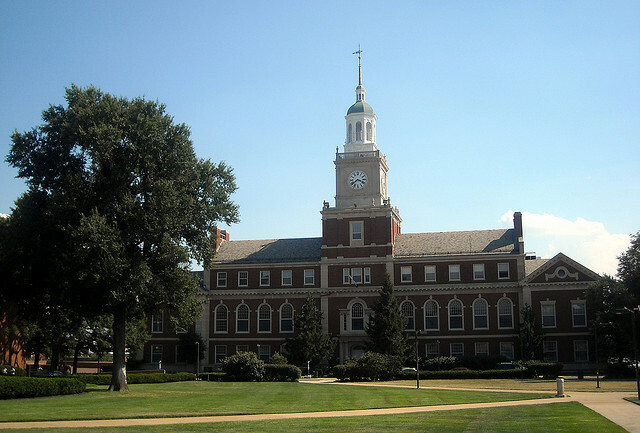 Dilemma X shares this information to show when the nomenclature, “Historically Black Colleges and Universities” (“HBCUs”), became the popular way to describe and define some of the nation’s universities. 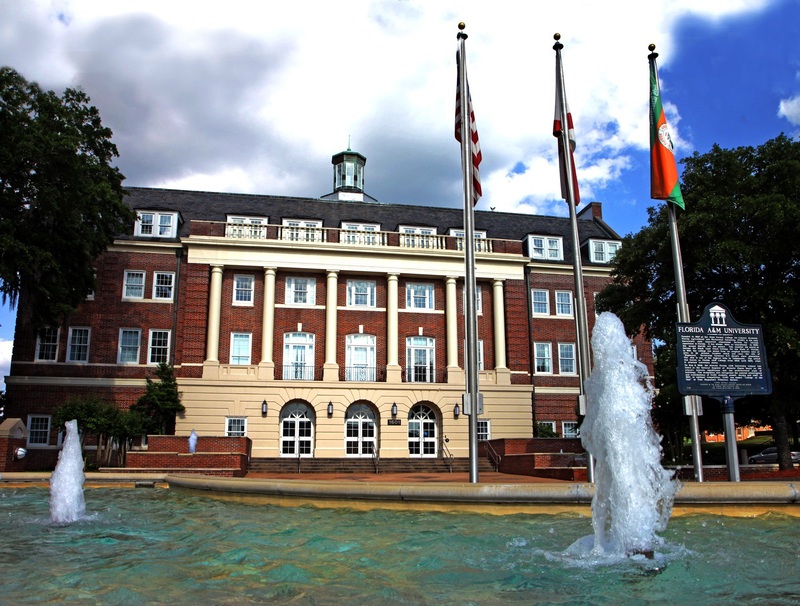 “Historically Black Colleges and Universities” (HBCUs) is the avant-garde term the federal government adopted to identify particular higher educational institutions, who would receive special federal assistance, due to past inadequate funding. 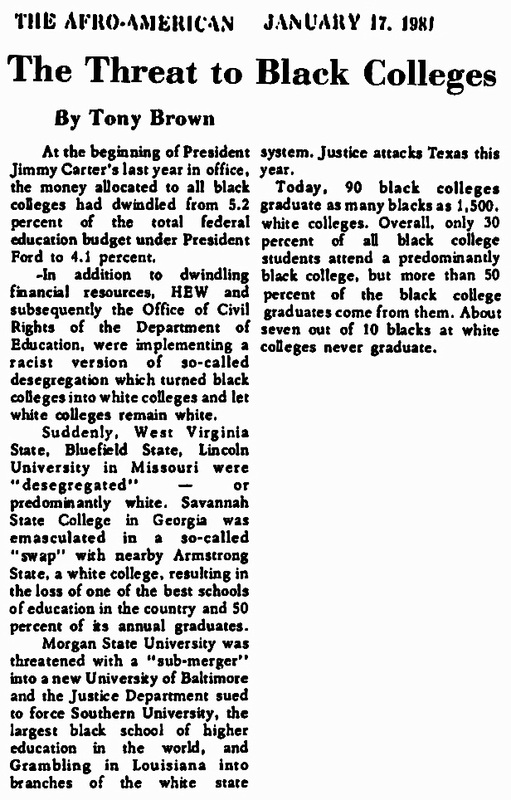 These institutions were founded as predominantly black, although they didn’t not exclude whites or other races. They were predominantly black, because the U.S. had an official Apartheid system or Jim Crow. 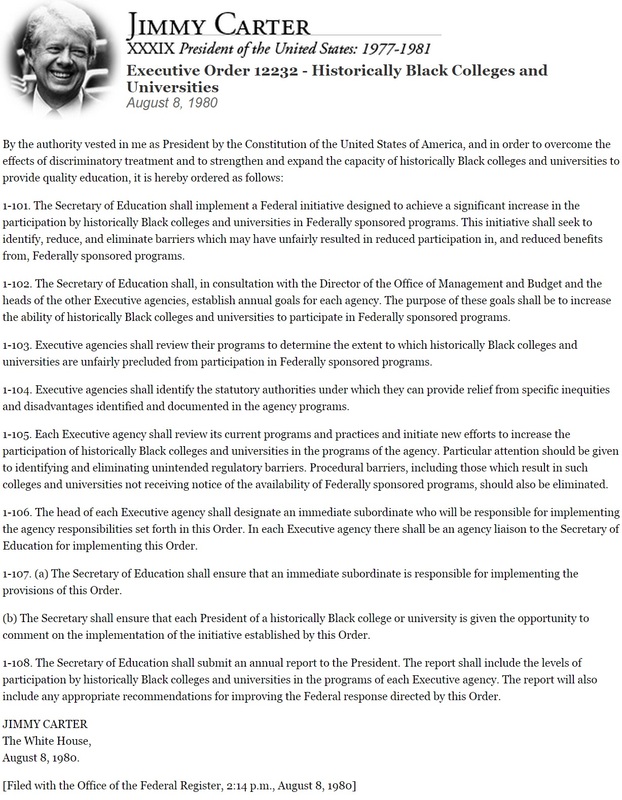 Admission, of African Americans, to some public colleges and universities would not be allowed until the landmark United States Supreme Court case, Brown v. Board of Education of Topeka (1954). Brown v. Board declared state laws establishing separate public schools for black and white students to be unconstitutional. This includes colleges and universities. 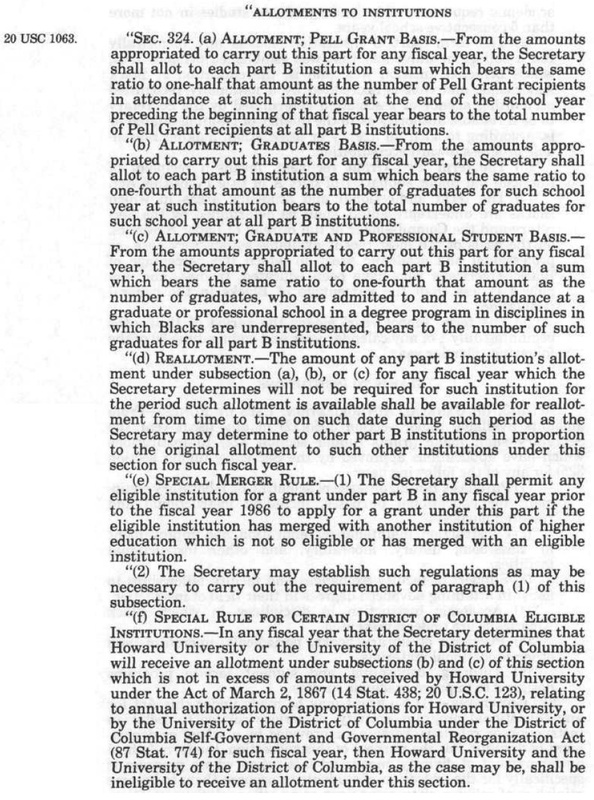 During President Lydon B. Johnson’s presidency, the Higher Education Act of 1965 was signed. 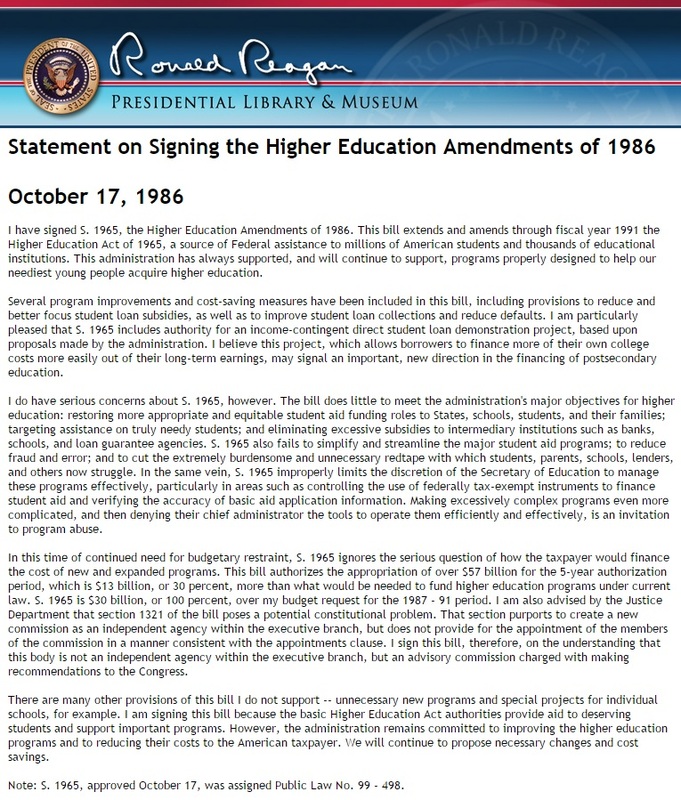 It was a legislative document that was signed into law on November 8, 1965 to strengthen the educational resources of U.S. colleges and universities and to provide financial assistance for students in postsecondary and higher education. 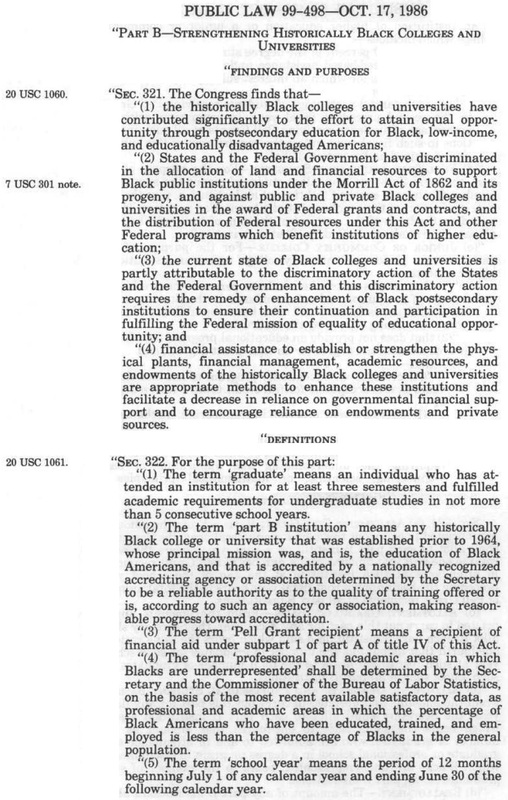 The law gave some direct financial support for what we now know as HBCUs. 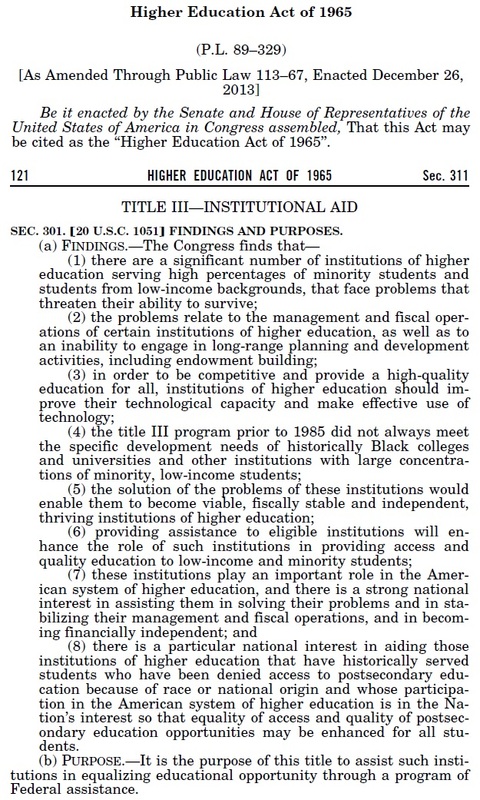 The original Higher Education Act of 1965 attempted to better address funding for traditional black colleges. 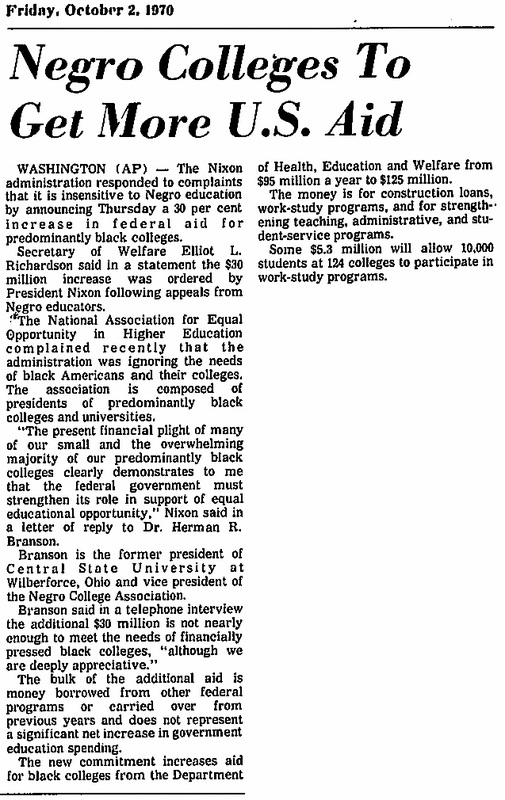 This was done via Title III Strengthening Developing Institutions, added on by Congressman Adam Clayton Powell. 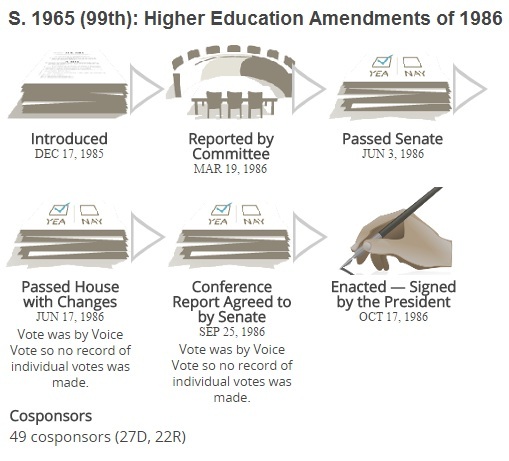 The Higher Education Act of 1965 was reauthorized in 1968, 1972, 1976, 1980, 1986, 1992, 1998, 2008 and 2013. 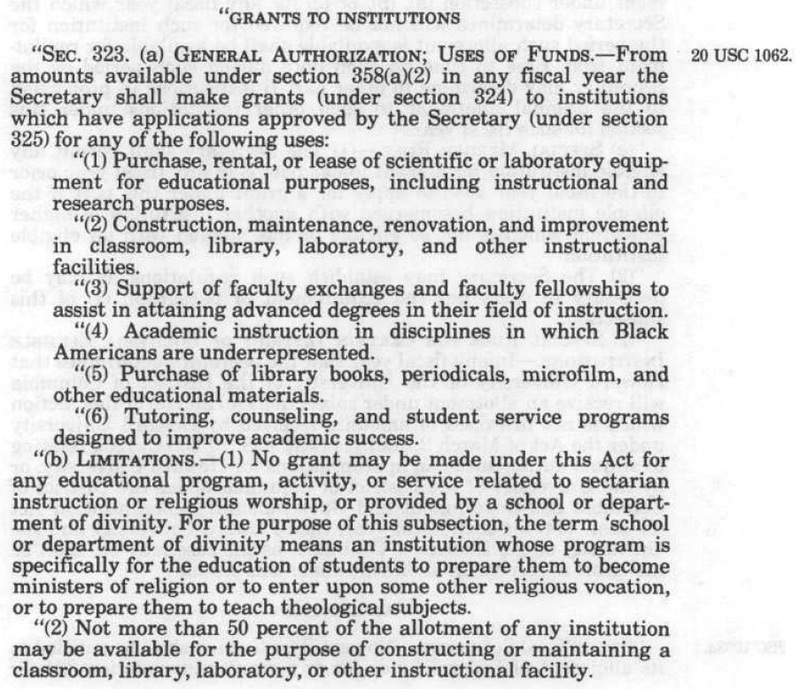 Before each reauthorization, Congress amended additional programs, changed the language and policies of existing programs, or made other changes. 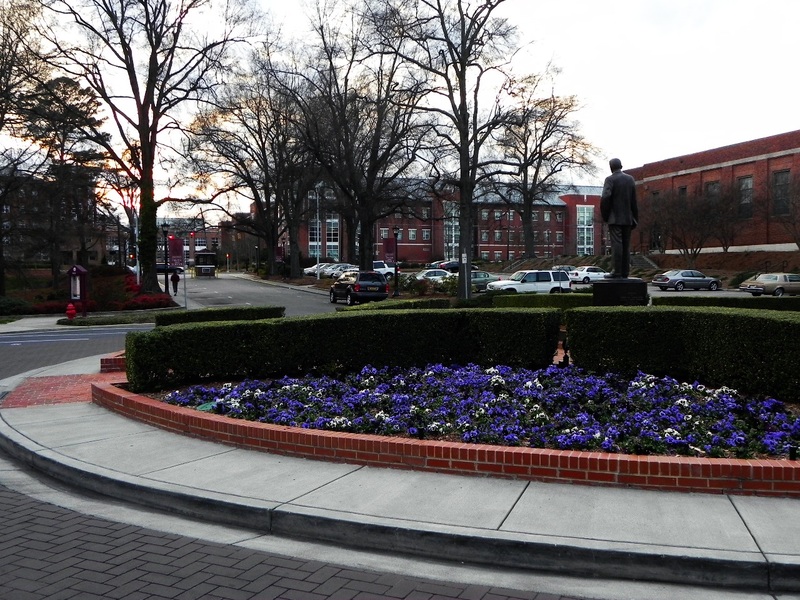 The term “Historically Black Colleges and Universities” (“HBCUs”) began to be used by President Jimmy Carter. 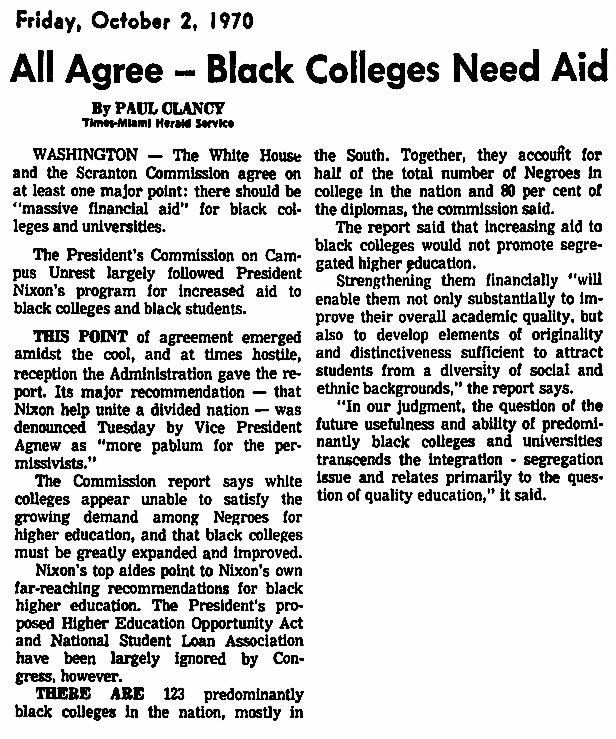 The actual term “Historically Black Colleges and Universities” (“HBCUs”) was added to The Higher Education Act of 1965 by Congress, in 1986. 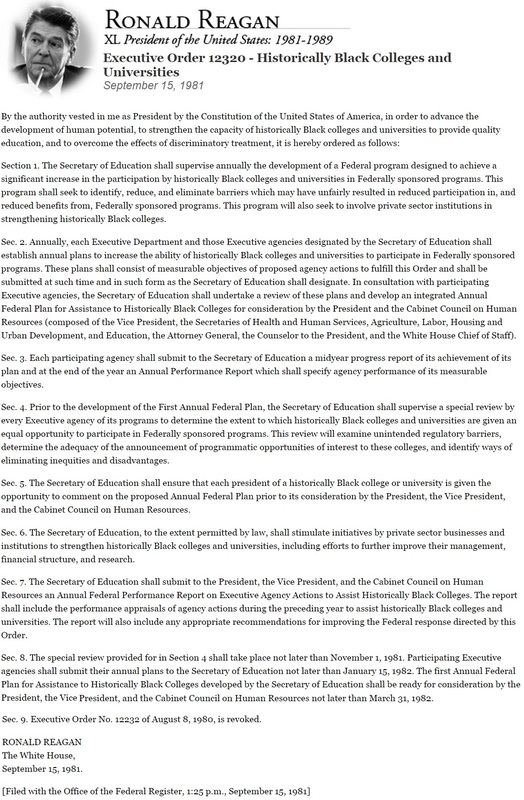 Title III was amended to include the term “Historically Black Colleges and Universities”. 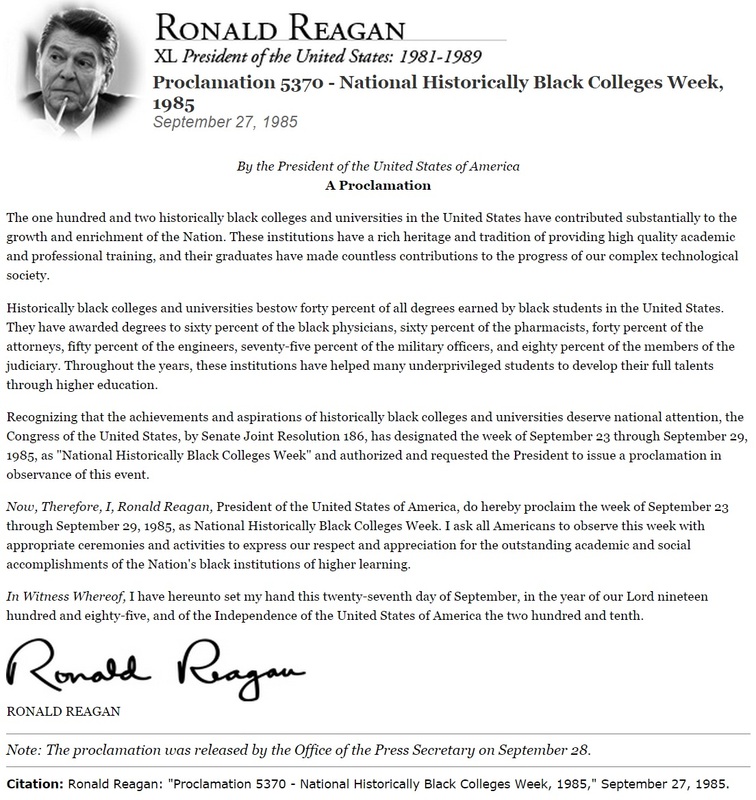 It was reauthorized and signed into law by President Ronald Reagan. 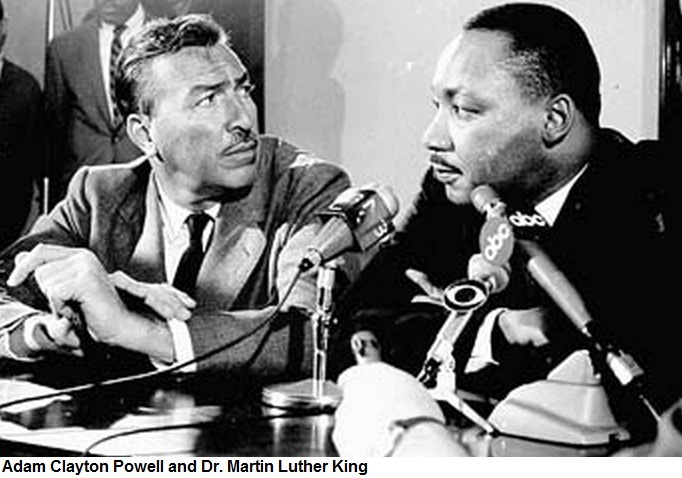 First, who was Adam Clayton Powell? 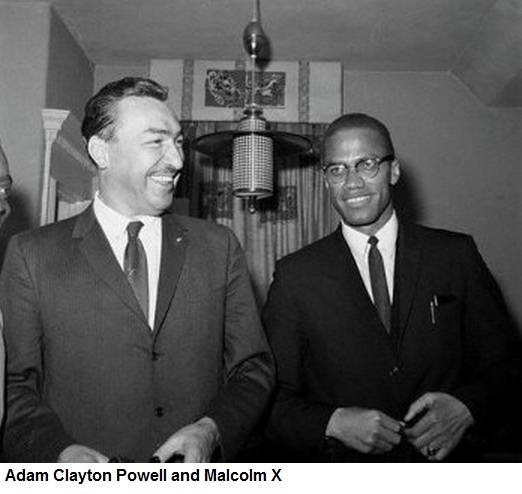 Adam Clayton Powell, Jr. was born in New Haven, Connecticut, on November 29, 1908 and grew up in New York City, New York. On November 1, 1937, Powell succeeded his father as pastor of Abyssinian Baptist Church in Harlem. 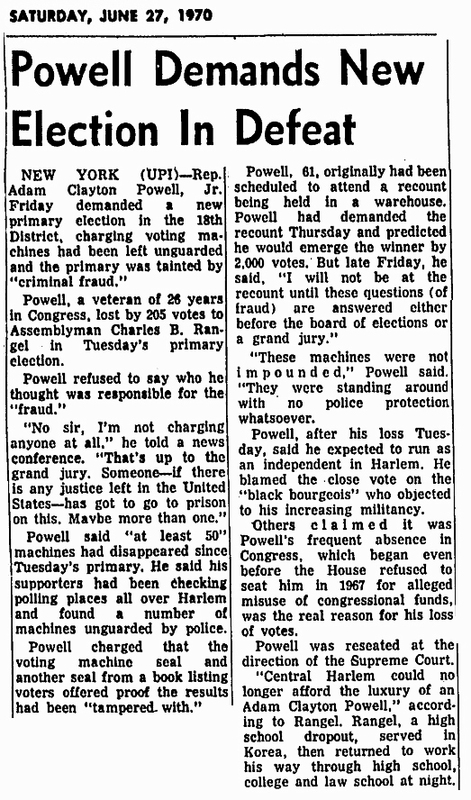 In 1941, Powell was elected on the Democratic ticket as New York City’s first African American city council member. Powell was later elected to the U.S. House of Representatives, representing New York City- Harlem’s 22nd Congressional district from January 3, 1945 – January 3, 1953, becoming the first African American Congressman from New York State. He was the 4th African American elected to Congress in the 20th Century (1900s), the others three (3) were from Illinois. 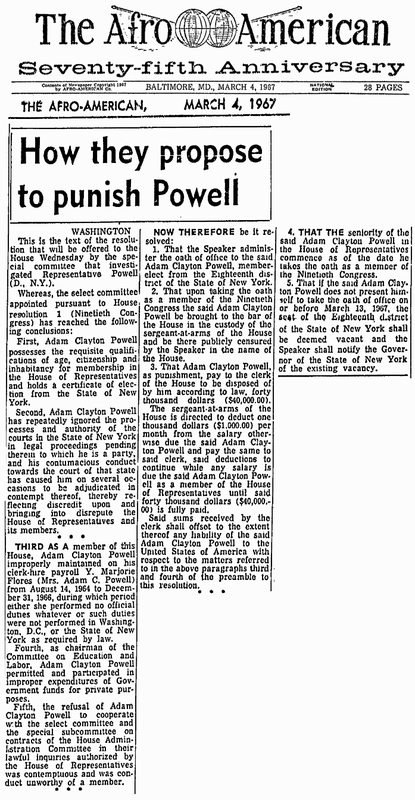 Powell would later be re-elected to represent New York’s 16th Congressional district from January 3, 1953 – January 3, 196; New York’s 18th Congressional district from January 3, 1963 – February 28, 1967 and from April 11, 1967 – January 3, 1971. Powell became the first African American Chairman of the prestigious and powerful Education and Labor Committee in 1961. 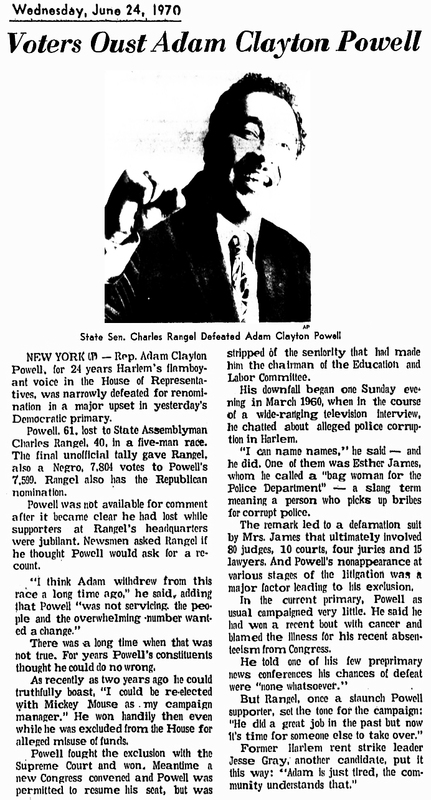 Powell would be defeated by Charles “Charlie” B. Rangel. Powell died at the age of 63 on April 4, 1972 . During the first session of the 89th Congress in 1965, Dr. Grace L. Hewell was appointed education chief for the House Committee on Education and Labor, chaired by Rep. Adam Clayton Powell Jr. (D-N.Y.), who had been her pastor at Abyssinian Baptist Church in New York City. 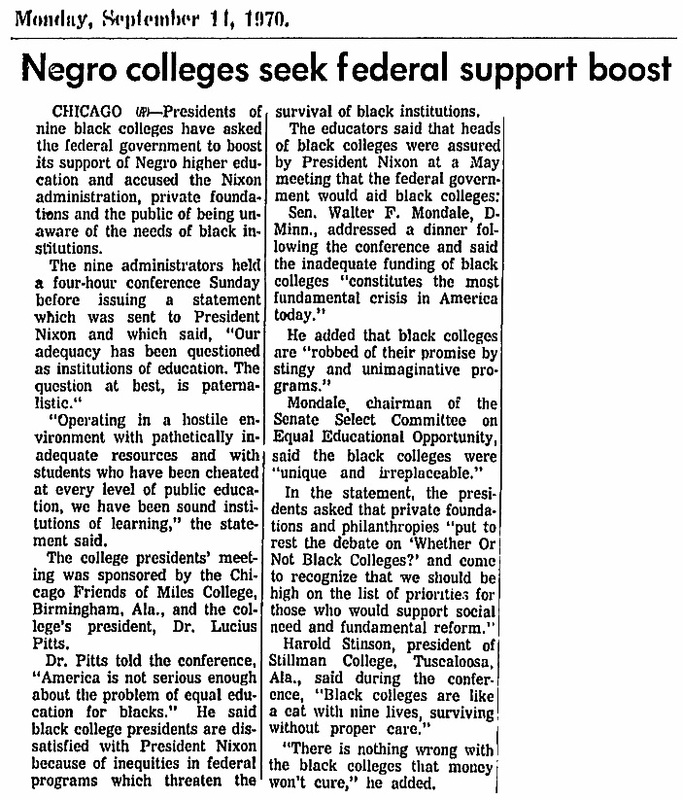 During the 89th Congress a conference committee reached an impasse on provisions of the Higher Education Act of 1965 that would expand continuing education programs and would provide greater opportunities for, what we now know as, historically black colleges and universities to compete for federal funds. 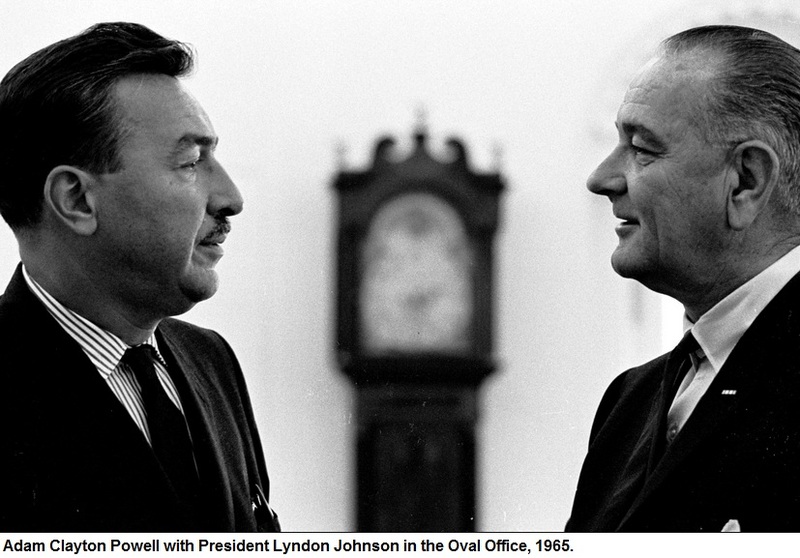 Dr. Hewell helped Adam Clayton Powell break the impasse and in the process forced the federal government to begin closing the gap between historically white and historically black education in the United States. –Source: Washington Post , April 10, 2008. 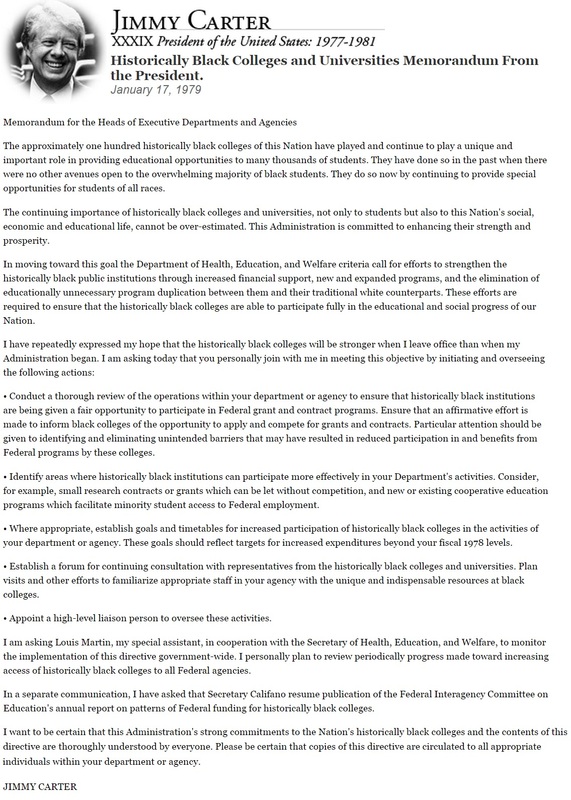 A joint resolution to designate the week of September 23, 1985, through September 29, 1985, as “National Historically Black Colleges Week”. 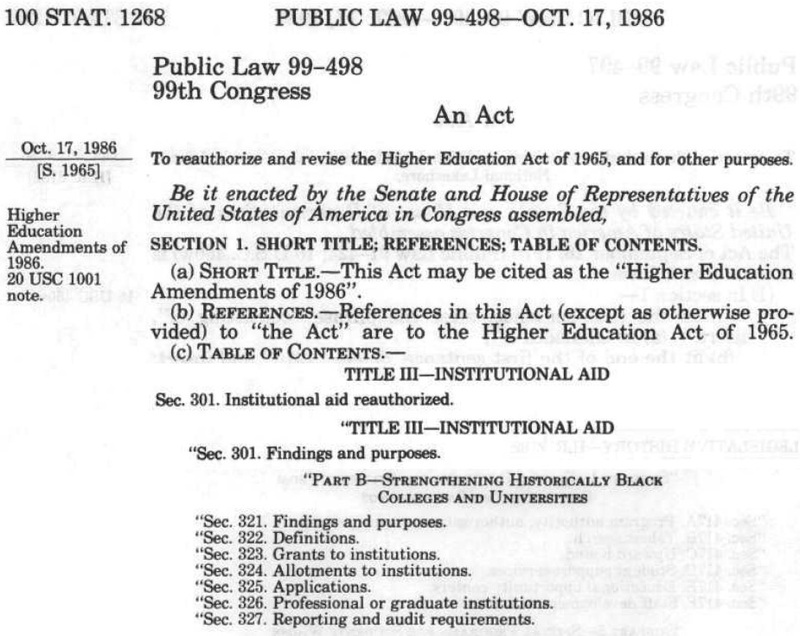 09/27/1985 Became Public Law No: 99-100. 09/27/1985 Signed by President Ronald Reagan. 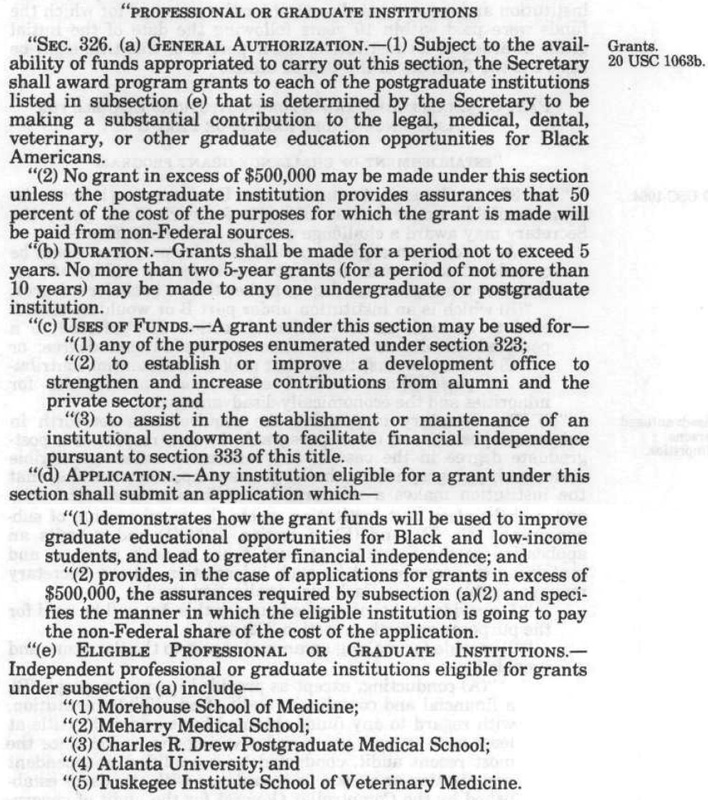 09/25/1985 Senate Presented to President. 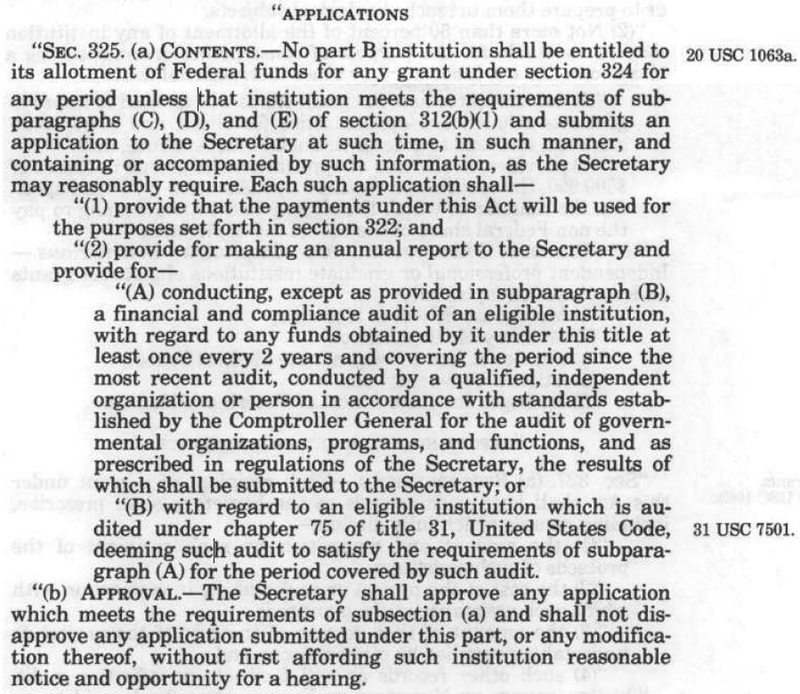 09/25/1985 Senate Measure Signed in Senate. 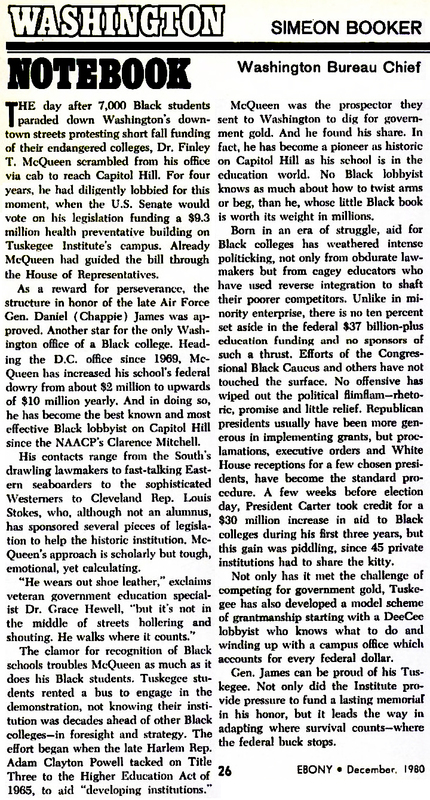 09/24/1985 House Passed House by Voice Vote. 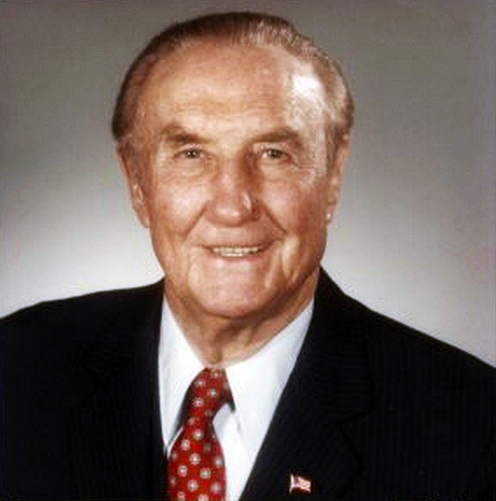 09/13/1985 Senate Passed Senate without amendment and with a preamble by Voice Vote.